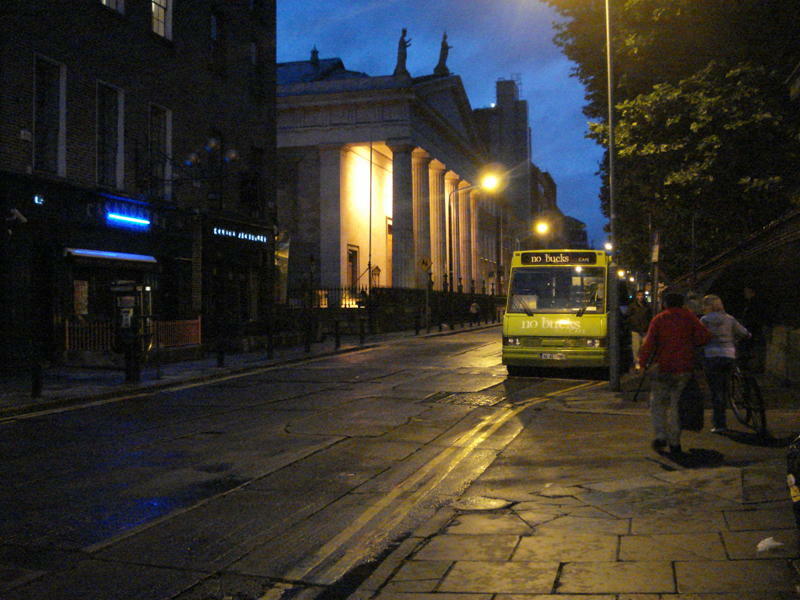 Thursday nights are a busy and exciting night for staff and volunteers of Tiglin Challenge. 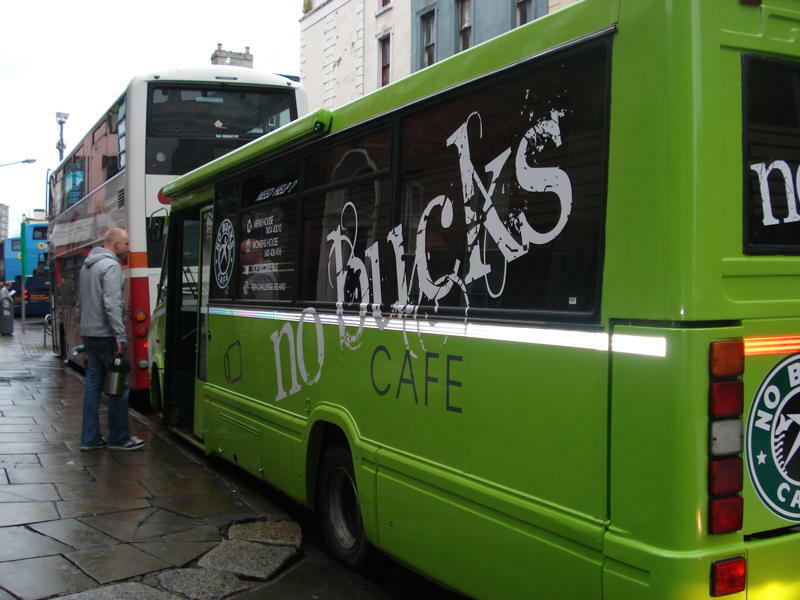 The women at the centre in ‘Teach Shechem’ prepare sandwiches and flasks of tea and coffee for the bus. 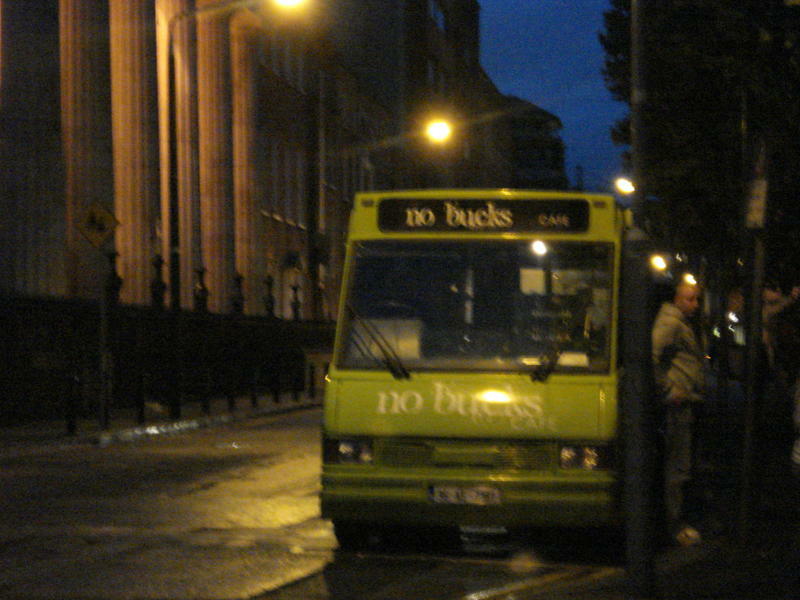 Our faithful drivers set out on the bus to meet the team of volunteers in Dublin city centre where we take time to prepare for the night ahead. 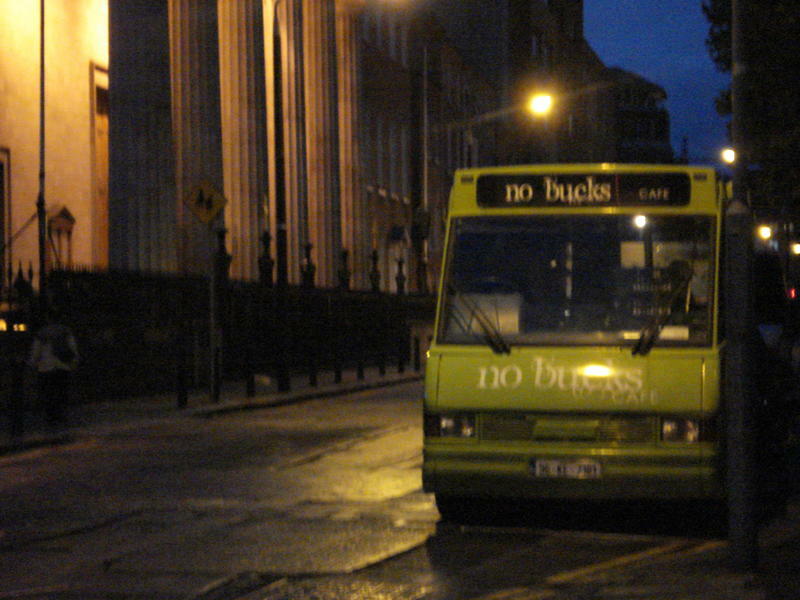 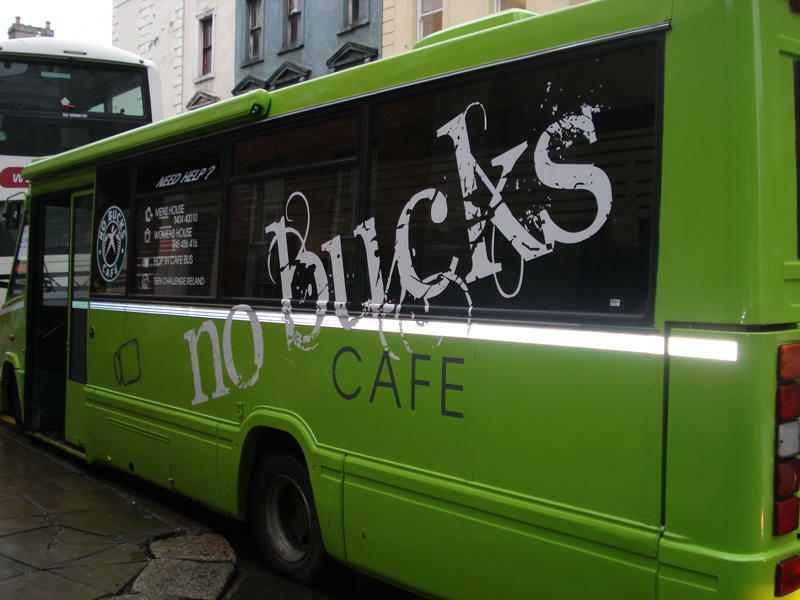 ‘No bucks’ mobile cafe then parks on Marlboro St. opposite the Pro-Cathedral at 8pm where we usually have our regular customers waiting there for us, who love to come and sit on the ‘party bus’ as they like to call it!